Summer in the Mother City gets hot, hot, hot, and with so many lesser-known Cape Town beaches to be found alongside the most obvious ones, what better time for heading out for a day of swimming, sunbathing and lazing around? With a huge number of glorious beaches in Cape Town, it goes without saying that visitors and locals alike are spoiled for choice. All too often however, the better-known beaches attract the biggest number of visitors. Finding beaches that are quieter, while still having much to offer, is essential. Moving right on to business, here are some of our top picks for quieter beaches in Cape Town to visit over the hot summer months. 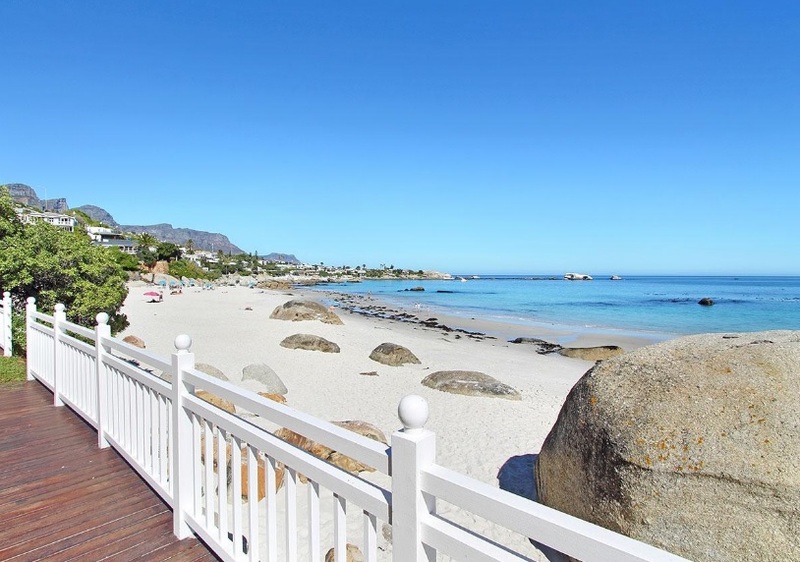 While not totally off the beaten path, BetaBeach is quiet enough that it makes a peaceful alternative to Clifton’s four beaches and some of the other more popular beaches near Camps Bay. 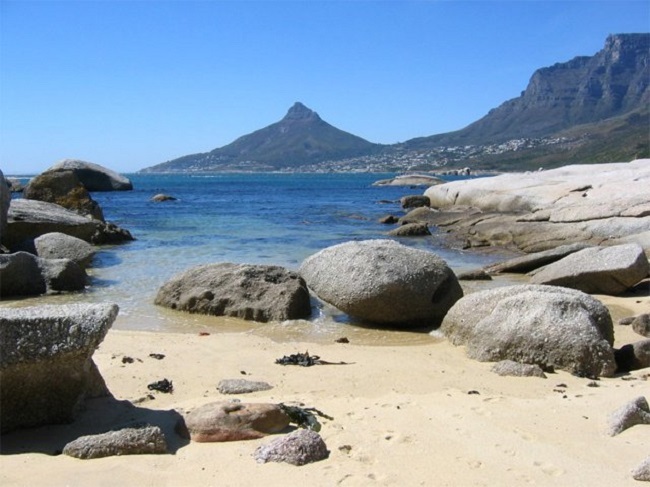 This little beach lies in the affluent, scenic suburb of Bakoven, offering outstanding views of Lion’s Head along with fewer crowds – particularly during the week. It’s also close enough to the City Centre to make it accessible and convenient as well. An intimate, private beach that is part of Table Mountain National Park, Oudekraal is situated in Camps Bay, between Bakoven and Llandudno. It is sheltered by large boulders, with minimal wind and ideal swimming opportunities. There are also braai (bbq) facilities and a grassy area to relax and enjoy the views. On the Northern Atlantic side, Sunset Beach offers the perfect place to enjoy iconic views of Table Mountain without the level of crowds found on nearby Blouberg Beach. Even during the height of summer in the busy season, this beach is relatively peaceful, making it ideal any time of year. Cape Point Nature Reserve is famous for its breath-taking beaches, and Platboom is one such beach that offers the ideal escape. Dunes lie between the parking area and beach, making for lovely walks. Bird watching is excellent here, while a peaty stream and plenty of wild coastal views add to its charm. Swimming is not always safe here however – there are no lifeguards and the waters can be a bit rougher than most beaches. A ‘blink-and-you-miss-it’ gate gives you access to one of the False Bay coastline’s most picturesque beaches. Technically it could be considered part of Boulders Beach, but from its vantage point between that beach and Seaforth Beach, it has plenty of highlights that have earned it a reputation in its own right. About 60km south of the City Centre, close to Simon’s Town, lies Scarborough beach – an unspoilt, beautiful beach and surfing spot that faces west (just what you want for sundowners). As it is quite a drive out (it’s the last suburb before Cape Point), it is generally seldom crowded, but it can get a bit busier over summer. When the wind picks up, it’s an ideal spot for flying kites and kitesurfing. Heading just outside of the city, to Gordon’s Bay, there are two note-worthy beaches to be found. Bikini Beach is a small beach with Blue Flag Status, which means that is pristine and boasting a high quality of facilities, water and cleanliness. It is sheltered and ideal for sunbathing and swimming. Just around the corner meanwhile lies Cool Bay (also called Kogel Baai). This tiny beach is a favourite among surfers, boasting a long stretch of sand and some caves. 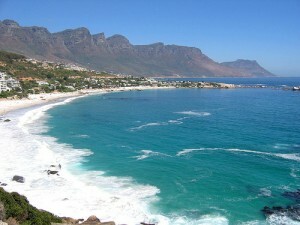 Which is your favourite Cape Town beach and why? Share your thoughts below and let us know which beach you love the most!